Marriage on the Decline but So is Divorce? The big hoopla is that the divorce rate has declined among Millennials. University of Maryland professor Philip Cohen found that from 2008 to 2016, the U.S. divorce rate dropped by 18%. 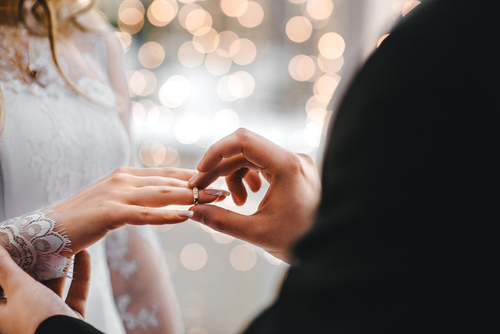 Around the globe, the number of unmarried women has been rising The numbers seem to point to women and men are not simply postponing marriage, but forgoing it altogether. Indeed, in the USA, the trend is moving to just live together. Many are saying it is just cheap to live that way these days. Among women in their late 30s or early 40s, 29% are unmarried in Denmark. In Italy where the family has been more of a tradition, still, 18% remain unmarried in the same group. Cross over the Mediterranean to Lebanon and the number is 22% and move to Libya and it jumps to 32%. In the United States, one in six women remains unmarried in her early forties or almost 17% which is a record high with the same level in Japan. What is happening is the age difference is rising to return more to the historical norm. Boys just mature slower than girls and as the younger girls give up on the same age boys, the marriages are lasting longer as they did before Holywood turned lust into love at first sight. Curious to watch how the trends are changing back to historical norms. Prior to the Industrial Revolution and socialism, the boy first had to get the house, farm, and the chickens and then approach a girl’s father. There was none of this stuff; oh we just love each other and that’s enough. Socialism seems to have enabled the age gap to collapse on the assumption that the state was there so you did not have to prove you could support a family in advance. Today under socialism, you can marry a homeless person and the state will provide the welfare. It depends upon your self-esteem and ambition in life. Some birds seem to practice the same trend. The male has to build a nest and make it look attractive to attract a female. Perhaps that is just the way nature intended which is why girls become women before boys become men.